Yesterday I met up with my beautiful friend Antonia, who I haven’t seen for a while. Every time I see Antonia, she’s forever immaculately dressed and she never fails to look so effortlessly stylish! To meet my oh so stylish friend, I opted for a casual blue, skinny jeans and plain vest combo accessorised with an over-sized bag and printed scarf. It was so great to catch up with Antonia and I feel bad for not making more of an effort in the past few months! 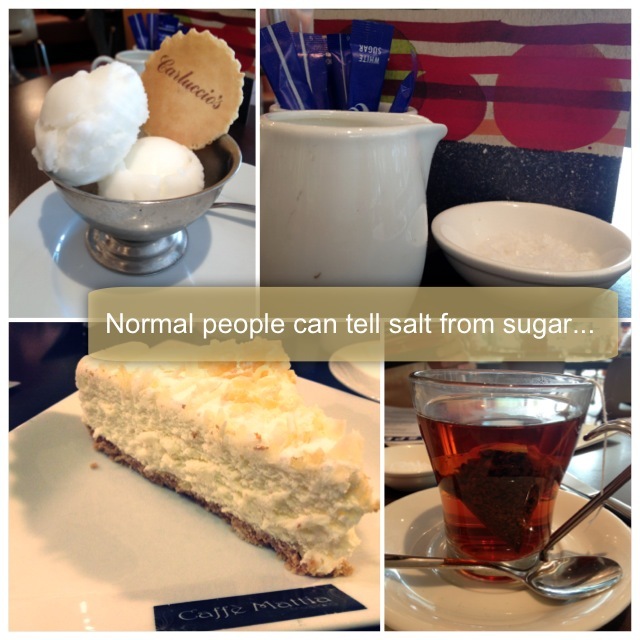 We spent the day drinking tea and scoffing desserts whilst chit chatting about general life. We had such a laugh and it reminded me just how much I had missed her! However I failed to maintain my “cool” pretense when I somehow managed to mistake salt for sugar and took a massive gulp of my salty tea! Cringe! Tags: Anna Sui, Cake, Casual, Clothing, Denim, eBay, Fashion, Food, H & M, holister, Jeans, OOTD, Outfit, Shopping, skinny jeans, Tatty Devine, Tea, vera moda. Bookmark the permalink. I really love your scarf and your necklace in your outfit shots, and the necklace Antonia got you is beautiful too! Thank you! haha I’m glad I’m not the only one who’s done that! The waiter did reassure me that I wasn’t the only one, I had a hard time believing him! Lol! Argh this comment thing is driving me silly! i love the border, and well done on your photoshop skills! 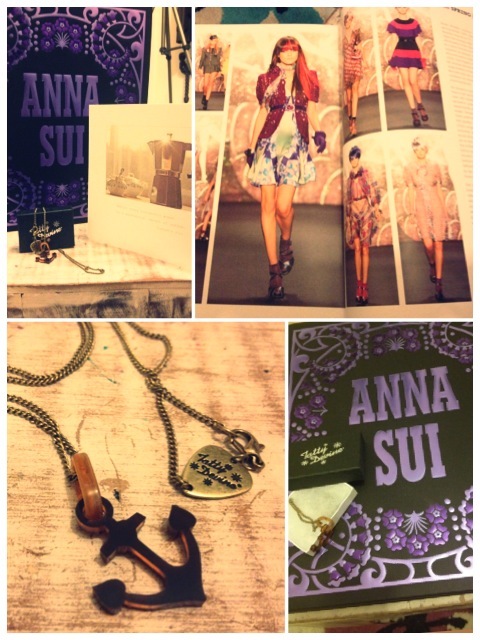 love the anna sui book and i want to borrow it! and your a doofus for mixing up the salt and sugar! I love your square print scarf! it’s so cool.